Dee Rock has found success on both sides of the music industry ~ on stage and off ~ from producing artists and song writing for various record companies including Virgin, EMI and Hollywood Records.Dee enjoys writing songs for films and contributed songs on the soundtrack for the Warner Bros. film "Divas". Dee's songwriting and guitar playing can be heard on the TLC show "American Chopper" and on the Discovery channel biker show "Southern Steel / Milwaukee Iron" on which he also sings the show's theme song. Dee has also composed music for Beach Body, including P90X / Slim in Six infomercials and work out videos. Dee Rock certainly loves performing live onstage and won the 2016 Josie Music Award for Outlaw Entertainer of the year.In 2017. Dee took home two more Josie Music Awards,one for the Bluegrass song "Mountain strong" which won song of the year in the Americana- Bluegrass and folk category. Dee was surprised to win the Outlaw Country Stage Performance award for his performance of his song Wild Mustang at the Schermerhorn Symphony.Just recently Dee won Male artist of the year Outlaw Country at the 2018 Josie Music Awards. In the studio with Lenny Kravitz, playing with Sheila E or opening for Blackberry Smoke and Jackyl has lead to where Dee is today. 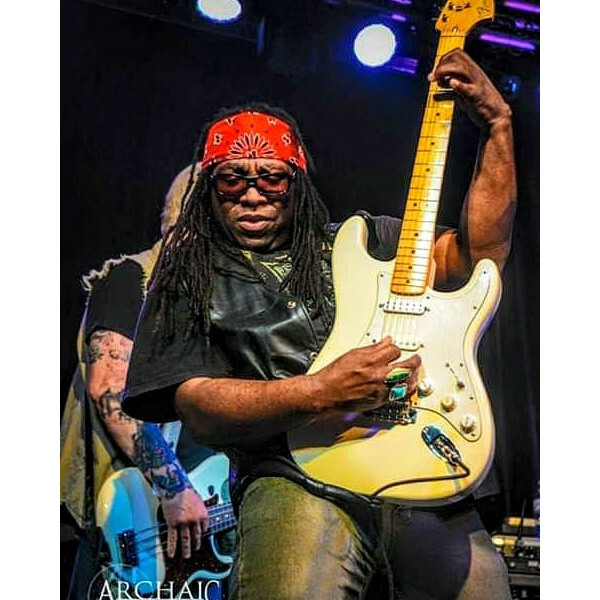 Dee Rock had the pleasure of opening for Roll Hall of Fame Legend Chuck Berry which Dee Rock says was the most amazing moment in his life and music career. These moments have certainly set the stage for Dee Rock's music to reach new hights in 2019!